The Young African Leaders Initiative (YALI) was launched in 2010 by United States President Barrack Obama “to support young African leaders as they spur growth and prosperity, strengthen democratic governance and enhance peace and security across Africa.” Speaking in 2016, and commenting on the importance of YALI, Obama has said that “today’s Africa is a place of unprecedented prosperity and opportunities” and has credited the program for helping to transform the United States’ relationship with Africa as a continent. YALI is very much a multi-dimensional initiative in that it consists of three core dimensions. The first is the Mandela Washington Fellowship that involves up to 1000 young African leaders, aged between 25 and 35, to the United States for a six-week long program consisting of academic coursework, leadership training and networking opportunities at a large range of US universities. The second component is the online community where the 250,000 plus members of the YALI network can connect and engage with one another, access and complete free online courses and receive invitations to special events. The final component of YALI are the four YALI Regional Leadership Centers located in Ghana, Senegal (both West Africa), Kenya (East Africa) and South Africa (Southern Africa). These have been created to help train Africa’s next generation of leaders and equip them with skills related to entrepreneurship, leadership and professional development. Ken Fullerton, recently caught up with Farhan Yusuf, a current student at the East Africa Leadership Center, to learn more about the program, his expectations and how he believes the experience will enhance his ability to contribute to his country’s ongoing growth and development. [K.F] Farhan, thank you for your time. 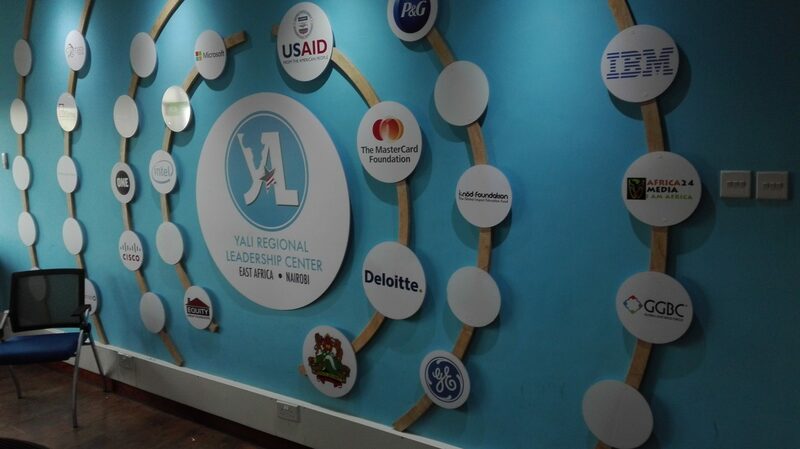 Please can you describe how you first learnt of the YALI Regional Leadership Center and what made you want to apply? [F.Y] Thank you for this opportunity Ken. I have been following YALI since the first Mandela Washington Fellowship when only 500 were to be selected. I applied but due to the immense competition could not make it. Since then I have been following the YALI activities through their website, mailing list and presence on platforms such as LinkedIn. The Regional Leadership Center was an opportunity to join this family of promising young African leaders. [K.F] How intensive was the application and selection process? [F.Y] The selection process is definitely very competitive. Over a 1,000 applications are received for each cohort and only 80 – 100 of those are selected. In order to get selected the application has to have a balance between being succinct and ensuring that you clearly highlight your leadership experience. While this application gets you shortlisted it is the final interview that secures your place in the program. How has the Leadership Center been structured and what have been some of your major highlights? [F.Y] The Leadership Center covers various aspects related to leadership with a special focus on Africa. There are discussions on topics such as diversity and how Africa is perceived and how we can change that perception. There are outdoor activities focusing on pushing leaders beyond their comfort zones and elements of team work. And classroom sessions with experts and experienced individuals depending on the track you choose. Personally for me the highlight was meeting young leaders from 12 other countries of Eastern & Central Africa and learning from them. While you were in Nairobi, Kenya and participating in the course were your expectations met? Why or why not? [F.Y] The course has definitely exceeded my expectations and more than that it has taught me to have an open mind and not really have expectations towards new experiences. I think I can speak on behalf of all the participants in that we have been pushed beyond our comfort zones, we have been taught to think from different perspectives and above all we have understood the importance of appreciating and harnessing diversity. Have you participated in any of the other YALI activities or online platforms? [F.Y] I follow the discussions had on the YALI LinkedIn group, I listen to the various podcasts with young leaders from all over Africa and I have completed a few of the online courses provided by the YALI platform. Overall I would encourage all young African leaders to engage with the various YALI initiatives and take the maximum benefits from them. How do you believe you’ll be able to incorporate your experiences and learnings into your job in the healthcare sector in Tanzania? [F.Y] Despite working in the NGO sector back home in Tanzania I decided to select the ‘Business & Entrepreneurship’ track in the YALI RLC program. This was because elements of the business and private sector are slowly making their way into the public and non-profit sectors. There is also a lot that I have learned about understanding the end user of the services we provide in designing solutions to their problems that I believe will allow me to perform better regardless of the sector I choose to continue in. What advice would you give to other young Africans thinking about applying for either a YALI Leader Center or the YALI Mandela Washington Fellowship? [F.Y] I will strongly encourage all young Africans to engage with the YALI platform and its various facets. It is a resource that will help us grow as individuals, professionals and leaders within our various communities. As far as the RLCs and Mandela Fellowship are concerned apply even if you miss out a few times. Many of the alumni have applied more than once before they got selected (including me). Be relentless in your efforts to develop yourself and to achieve your dreams and do not fear failure. For more information about YALI, any of its programs and eligibility requirements, the resources it can provide and the courses it can offer visit the official YALI website. ‹ How do we get refugee rights on the agenda? › Federation or separation: which path will Cameroon take?